2012 | To Be, To Be. Tutubi. 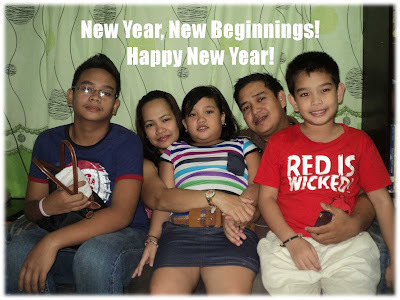 From my family to yours, we wish you a happy new year full of new hope and new chances! 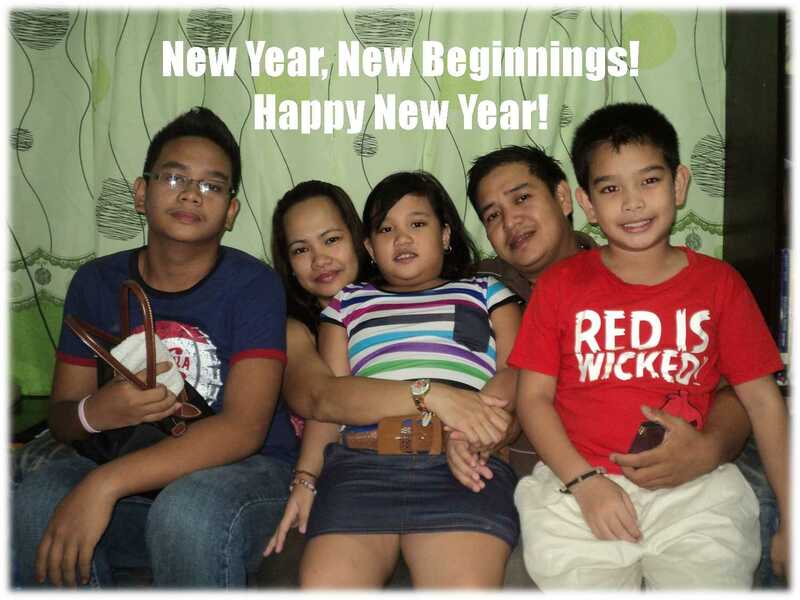 This new year is a blessing to start anew. Let us be thankful for this chance to enjoy our jobs, our lives and our families! Happy New Year everyone! 15 years ago, I married this guy who I knew I couldn't live without. He was my champion, my best friend, my lover and my partner-in-crime. Our years together has never been perfect, but I know, that it will always be worth it. Our celebration was simple: a testament to our life together. We chose to spend it with the whole family. I woke up to this single white rose and a kiss from my husband, who just came from work. After he has slept a bit, we went to mass and went to a mall to have lunch. I drove, a testament to his trust, since I have not yet drove this far! We made it in one piece, ha ha ha! The whole family having lunch at Chowking. A simple fare of fried chicken, pansit and chopsuey. After lunch, we decided to walk off the calories by walking around the mall. We played some arcade games, well, that's my son and my sister and my mom looking at them. 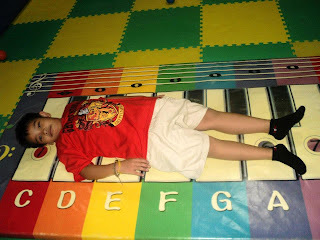 The younger kids tried this rocking boat, which made them dizzy! We had some ice cream too! Then it was time to go home because my husband has work that night. Our relationship is pretty much like how we spent that day: secure in the fact that we are together and we have food to sustain us, some play to delight us, a doze of sweetness to keep the love alive, and a little thrill (my driving) as a sign of trust! And after 15 years, I cant imagine living my life without my husband by my side! And for this, I will always be thankful for the wonderful blessing that is our marriage and our family! 1. Celebrating Christmas with my whole family, including my Ate Dianne and her family! 2. Seeing the joy in the face of my kids when they open their gifts. Priceless. 3. Karaoke session, thanks to Kuya Mher! 4. My Longchamp from my Corplan friends. Yehey! 5. My tripod and monopod. Now I only have to save up for a DSLR camera! 6. Driving to MOA and back! And parking at level 6 too! 7. Our 15th year anniversary. We attended mass and had a simple lunch at MOA. It was simple and fun. 8. Watching Enteng Kabisote with the kids. The kids enjoyed it so we were happy also. 9. Oh, and Divisoria shopping with Inay and Kris. 10. Driving to Taytay to fetch my Ate and her family because they spent the Christmas in our house. Even though she wouldn't let me drive on the way to our house and back to theirs, hahaha! This was a very unexpected gift, but much much welcome indeed! My friends at the office gave me this for Christmas, my first Longchamp Le Pliage small bag! I was hoping to get it as a gift from my husband, or as gift to myself, but since I am saving for the Cambodia trip, I was hoping to get this next quarter of next year! Thanks to them, I will just have to buy a bigger one after I buy my Kindle and or a Fossil watch, ha ha ha! See the very sweet note on the card? I was so touched that I screamed when I opened it and saw what was inside. But I also contributed to the gift for the girls too, but I am so touched by their gesture. I hope this will not be my last Longchamp because I am hoping to buy another one before the year ends. There is nothing like a nice bag to make a girl feel empowered! The greatest gift of all is love, and this is what I love the most: my family. So from my family to yours, hope you are having a wonderful Christmas season! We thoroughly enjoy our first visit at Bejewelled Spa in March so when I saw again that there was a deal at Cash Cash, I bought again three vouchers for me and my best friends Ehms and Rona. Same as before, it was a very good experience! We have had other body scrub and massage experience from other salon before but we really keep coming back to Bejewelled Spa. Apologies for the images as they are taken using my blackberry or Ehms' phone. Image below is before the scrub. After the one hour scrub, and the hair spa, we head on to the shower and then the massage follows. It was still the best massage ever! Here are the well-pampered girls after the treat! Posing before the Bejewelled Spa signage and saying, "I'll be back!" I also told the girl to text us when they have groupon sale. I got this from the office Christmas 'exchange gift' yesterday and I was so happy! Well, this was technically not a surprise since I put it down on my wish list but I was still so happy to get it! They know for a cam whore somebody who takes pictures of me and of everything (pang-blog, ha ha ha) so this really suits me! But I was actually more surprised to get this monopod below as an extra gift! Its an arm extender, so that you can take your own picture, ha ha! I should have bought one sooner so that my husband and I could have had more pictures together when we went to Boracay last October. The camera is not included, that's my old one. 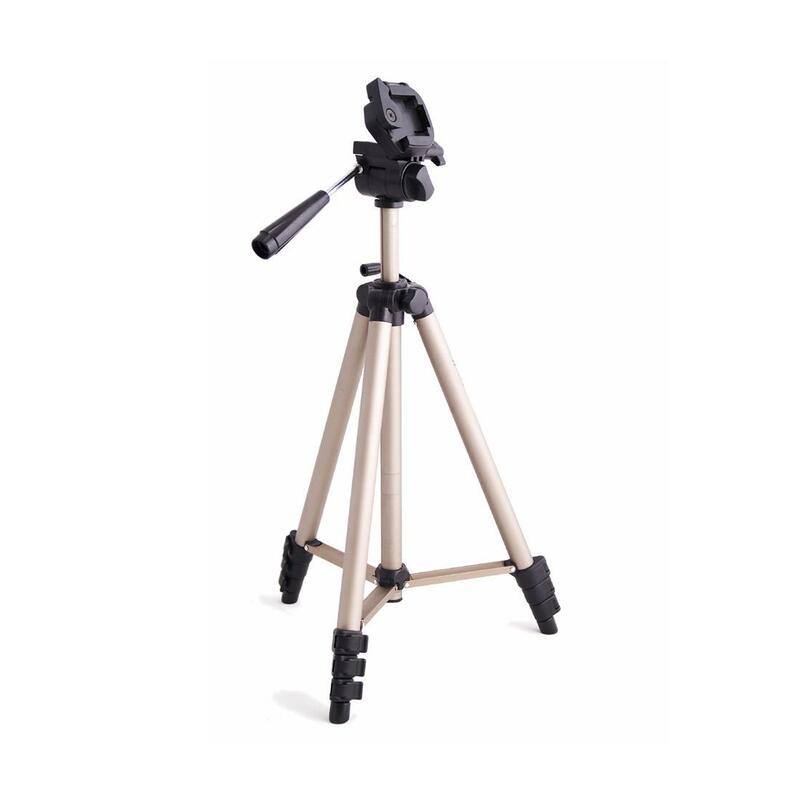 Next item on my list is a dslr, but that will have to wait a little since I am saving for the CDO and Cambodia trip for first quarter next year! I love eating, and my 139 lbs body on a 5'2'' frame is a testament to my love of food. 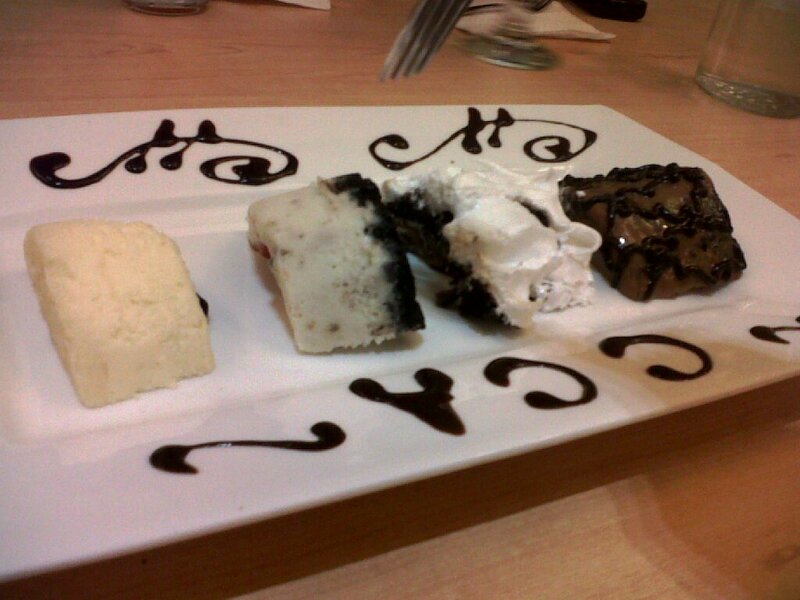 I will say that I am forever on a diet but of course, nobody will believe me, ha ha ha! 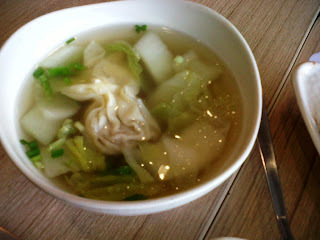 Anyway, Chowking will always be my comfort food, and one that I enjoy best with my Ate Dianne. She was a working student in college and she worked at Chowking so she knows the food and she love them too! 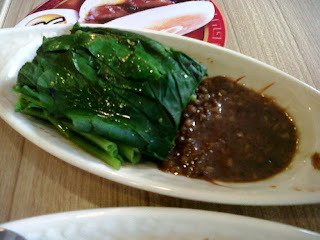 And these are our favorite: Chaofan, siomai and Kangkong with Bagoong. Every time I eat these, I am always reminded of my Ate. Chowking is one of those food that gives me comfort and will always make me remember my sister and home. 1. Christmas parties x 100! Ha ha ha! I am so fat already! 2. The small electric fan I won from the raffle. My one and only win in history ever. I am too malas at raffles, ha ha. 3. Going to Divisoria with my daughter and her finding it exciting even if it was so masikip and all. Anak ko talaga! 4.Finishing Nicholas Flamel's The Secrets of the Immortal series on my C3. He he, soon sa Kindle na talaga, pramis. And now you know why I havent been blogging, because I was busy reading! 5. Divergent and now Insurgent! Cant seem to stop reading. And I wish the third book will come out sooner! 6. The kid's Christmas Party tomorrow, which means last day of school! 7. Cake, thanks to birthdays at work. 9. My double chin, which means I am gaining wait which means I am enjoying good food. Next year na lang ulit yung diet! 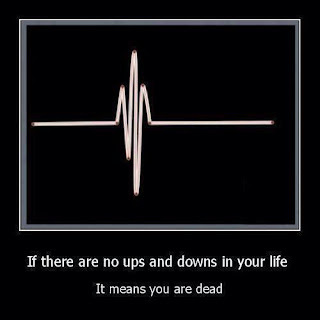 This is my 1000th post and all I have to say is that let us all be grateful that we are still alive, whether we have problems or not. 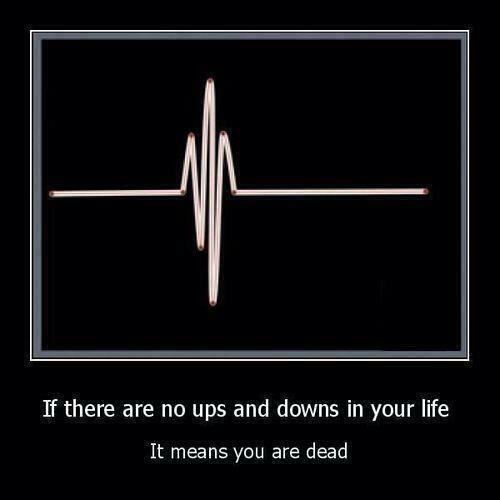 Life is still wonderful! There is always a second chance, to do better tomorrow! This is just a friendly reminder this holiday season. We may be so caught up with the excitement of the Christmas season and in getting our bonuses that we might forget to save some money. To avoid this, when I get my money, I put half into my savings account and I promise myself I won't touch it no matter what happens. I have a budget that I follow, and if I know that I will exceed this budget, I cut down on some items. I believe that we should set aside some money as savings for future purchases, like real estate orange beach investment perhaps. Of course, we all want to give something since this is the season of giving, but we must also remember to reward ourselves. Rewarding ourselves doesn't always mean buying the latest phone or other gadgets, but by first by saving some money. When you know you have money kept for emergency and investment purposes, you have sanity and peace mind. And remember, Christmas is not always about gifts, but more about giving love and time and togetherness. For my family, I know that aside from the gifts that we will receive, the greatest gift will always be each other. 1. The growing Cambodia fund, thanks to Linkworth payment and Google Adsense earnings. 3. Unlimited cake at CCA. Yummy! 4. The Hobbit premiere tonight. 6. Mang Inasal and unlimited rice and chicken oil. 7. Nicholas Flamel, Perenelle, Josh and Sophie and even Dee and Machiavelli. For the distraction. Good thing I have the C3 to read it on. 8. Food, food and more food as Christmas gifts! 10. Gifts, gifts and gifts, even though I have never even started with my own Christmas list, wahhhhh! Yehey, more money for my Cambodia fund! This is my third, or is it fourth, Linkworth payment? I lost count, but I am happy with Linkworth so you better sign up now! There is nothing like a pay-out to make my day! Totoo nga pala na kailangan mo munang maging isang ina bago mo maintindihan ang iyong sariling ina. Nuong bata ako, hindi ko maintindihan ang mga ginawa ng aking inay, at malimit ay nagagalit ako sa kanya. Sa aking batang isipan, hindi niya gusto na maging masaya ako: hindi puedeng maglaro sa tanghali, dapat matulog; hindi puedeng uminom ng softdrinks, dapat tubig; bawal magbasa ng komiks at marami pang bawal. Ngayon na ako ay isa na ring ina, lagi ko na ring ibinabawal ang mga bagay na iyon sa aking mga anak: hindi dahil ayaw ko silang maging masaya, kundi dahil mahal ko sila. Ipinagpapasalamat ko ng malaki na kapiling ko sa aking tahanan ang aking inay. Kung wala siya, at ang aking kapatid, kailangan ko pang bumayad sa ibang tao upang subaybayan ang aking mga anak habang kami ay nasa trabaho. Pero dahil nandyan siya, kampante ako na ang aking mga anak ay inaaruga at minamahal, katulad ng pagmamahal at pag-aaruga niya sa akin at sa mga kapatid ko. At sa edad nyang 58, pilit pa rin siyang tumutulong sa akin at sa pamilya ko. Nagtitinda pa rin sya para makadagdag sa budget namin. At kahit ilang ulit kong sabihin na hindi niya kailangan magtinda, lagi nyang sinasabi na masaya siya sa ginagawa niya. Salamat talaga sa aking inay. Kaya wag nyo kakalimutan araw araw na iparamdam din sa inyong mga inay ang pagmamahal at pasasalamat nyo sa kanila dahil sila ay isang mahalagang bahagi ng ating buhay. Kaya mahal na mahal namin ang aming Inay! Salamat Inay! Kuha nga pala ito sa Quezon Memorial Circle. Wala ding hilig magpose ang Inay eh, he he he. This is the season for Christmas parties and a time when a diet is indeed a futile exercise. This is just the first week of Christmas and we already have 2 Christmas parties, and 2 more coming, and this is just in our company. The first one was the big party, held at a hotel and where major major production numbers are held. I was invited to join the performance, but I declined since I cannot dance to save my life, ha ha ha! Now, second party is our departments party. Since we are only 17, our boss reserved a room at the CCA in Podium where we had a buffet set up and below is my first plate! 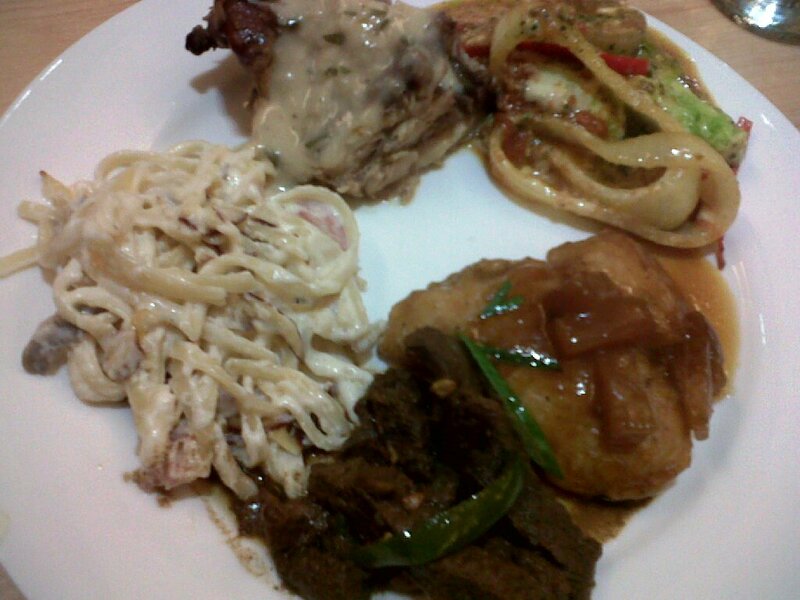 There was pasta, grilled chicken, beef teriyaki, fish and vegetable lasagna. Apologies for the picture since it was only taken by my blackberry, but believe, the vegetable lasagna was super super good! I think I got up 3x to get more! And the highlight of the evening, aside from the hilarious Pinoy Henyo game, was the unlimited cake! Yep, unlimited cake. Did I say unlimited cake? Ha ha, we were so full, and so happy with the Pinoy Henyo (words were Ratatouille,Avionics, Eric Clapton, Ant eater, Mary Magdalene) and only 3 pairs got the correct answer! This is my idea of a perfect Christmas party: no pressure to prepare dance but just to bring your jolly self, enjoy the food and each other's company and join in games! And the gift-giving of course! See, its beginning to look a lot like Christmas! My 1st New Year's Resolution for 2013! I love buying stuff online, especially beauty and wellness deals. I buy massage deals for my husband, hair treatments for me and my sister, and spa package for me and my BFF's and even rooms in Boracay! Despite hits and misses in some deals, I am actually happy with most of my purchases. But when the bills arrive, I get the shock of my life! Its so easy to click 'BUY' and make purchases because you don't feel the expense yet. But since I am saving for my first out of the country trip February next year, the buying has to stop! 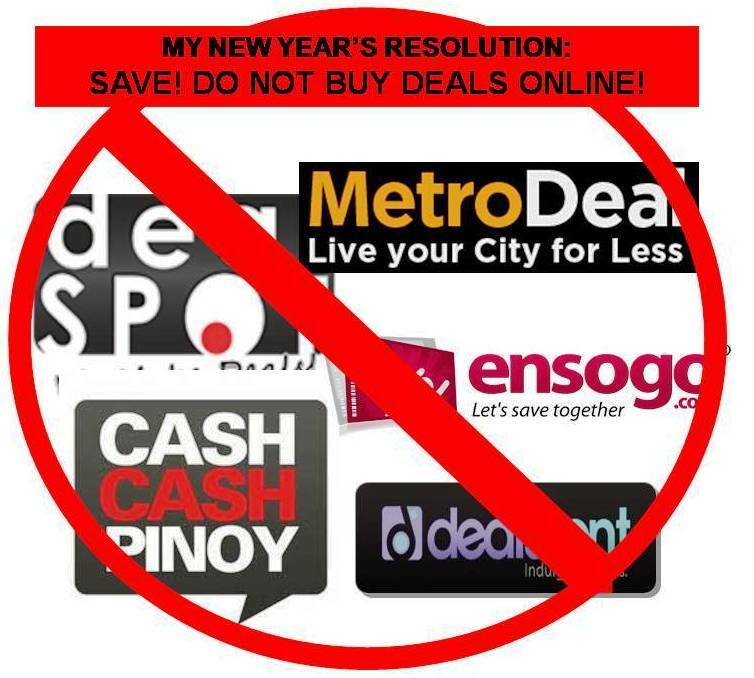 So I will delete all my bookmarks for these sites so that I will not be tempted to check their latest deals. So Ehms, stop me please! Oh and see you later for our Spa Date thanks to Cashcash, hahahaha! 1. The 13th month pay and paying off debts. What a way to start the new year! 2. The 3-day weekend last week. 3. Divisoria shopping with Drexelle. Thats one kid off the list. 4. My newly rebonded hair! And it was so cheap too. 5. My new P125 bag. Ha ha, ang kuripot ko. 6. Christmas parties and getting my first Christmas gift. 7. 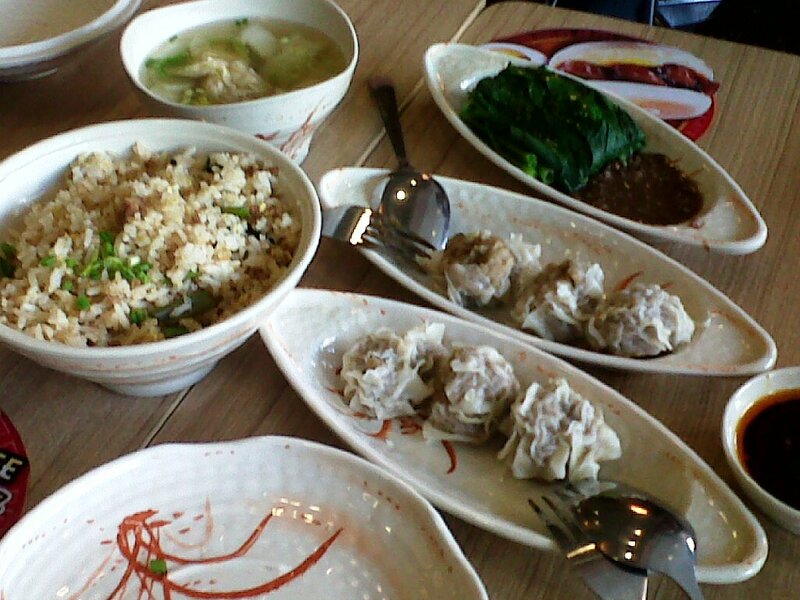 Siopao and siomai from Henlin. 8.Not buying any vouchers lately and hoping to be able to control self more. 9. Body massage for my husband and McDo dinner while waiting with Ishi. This time of the year, and sometimes after Christmas, we get the house ready for the New Year. Sometimes, we buy new furniture sets like the sofa we got last year, or we paint the house. For this year I think, we will paint the house green unless my husband gets me any of the listings at fountain hills real estate then I wouldn't have to get it ready! A new house would be the perfect Christmas gift but of course, that is just wishful thinking. But our house, newly painted, and with my loved ones happy and healthy, is the most special gift that I could ask for. No house, big or small, can make me happier than seeing my family happy. But of course, it would make them more comfortable if the house is clean and presentable. So I will set aside one day of next week to do the painting. And actually, this is not chore for me because I love painting the house and see it transform our home. If only I can say the same for my eldest son, ha ha ha. But I am sure he will help me because he cant stand see me getting tired by myself. 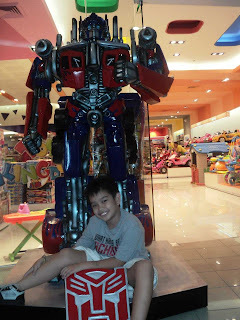 I think I have already blogged about my son Danniel turning 10, and how we had a simple celebration at home and then went to a mall for some more fun. And here are some of the photos, with lots of blue in them! 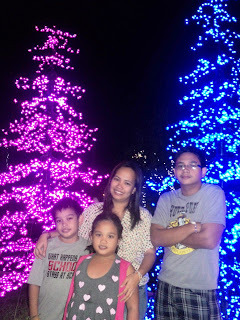 Taken at the Skygarden of SM North Edsa on our way inside the mall. 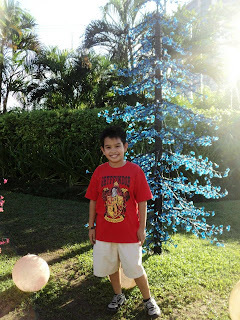 Love the blue Christmas tree! 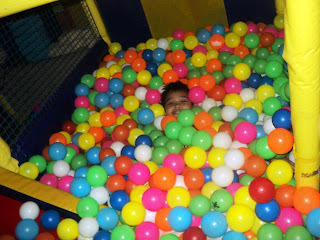 Then we went to Active Fun for unlimited play! Where he obviously had unlimited fun! Just look at those colorful balls! Too bad I cant join him, ha ha ha! The boy is tired after 3 hours of play and lay down on the piano! I would have join him too! On the way to dinner, and while looking for his gift, he saw this huge Optimus Prime character and just had to pose! 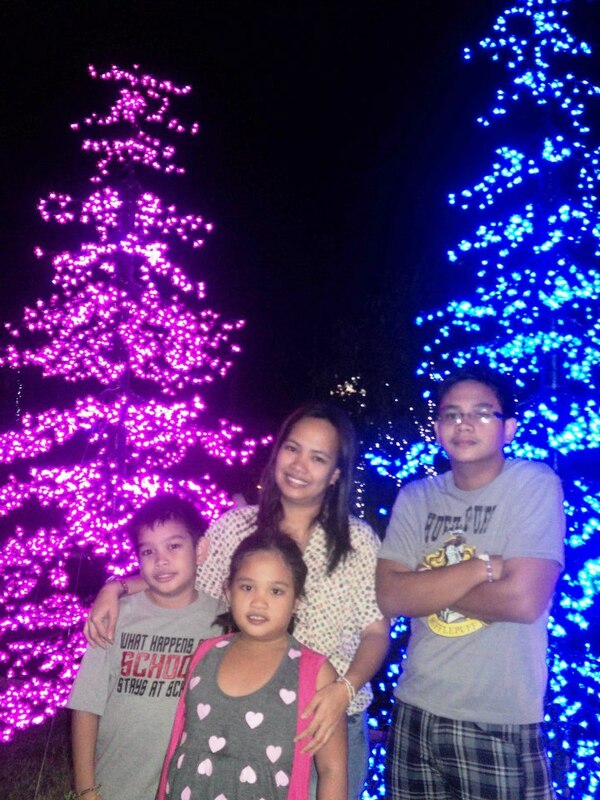 A nice family photo with pink and blue Chrismas tree as backdrop! Too bad my husband came from work and the mall was closing when he arrived! Gat Andres Bonifacio. Today is the birthday of one of the leading heroes of the Philippine revolution against the Spaniards. 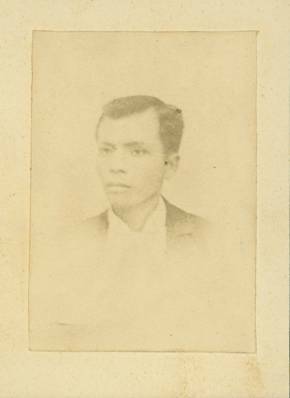 He is known as the "Great Pleabian (pleabian, meaning, of the the masses) and the Father of Philippine Revolution and Father of Katipunan. It will serve us well to remember our heroes so that we will know that people fought with their life for the freedoms that we are enjoying today. A holiday does not just mean a free day from work and school. May it serve as a reminder that our freedom came with a price, and we should never take it for granted. This is me. All 138 lbs on a 5'2'' frame, and based on any BMI calculator that I can find, I am OVERWEIGHT. If the emphasis is not enough, well, I have bulges where bulges have no place and my skin sags where they have no business sagging! And lest you say I let it happen to me, let it be known that I do Zumba, I run (did 3k and 10k and you can sometime see me running along Araneta Ave or at QC circle on weekends) and I cut down on my food intake (no rice, baby). I do Hiphop Abs at home, I buff the floor, walk to the market and use the stairs! I also religiously participate in our fire drill (since I am fire marshall) and go down the fire exit from the 42 floor of our building! Thankfully, they allow us to use the elevator to go back up, ha ha ha. So, I live an active lifestyle and I eat sensibly. But how did it came to this, you ask? Well, I have three wonderful kids aged 15, 10 and 8 and I am only 35. The body undergo changes from whence we are young to become teenagers and young adults, and to one who has reared children, and that's times three for me. So naturally, I have excess fat and stretch marks and no amount of diet and exercise can help me get rid of what nature and pregnancy did to my body. And that's where my flawless beauty transformation comes in! "In celebration of its 11th birthday, Flawless is inviting everyone to take advantage of its 1 + 1 beauty blowout this National Flawless Month. If this isn’t the best time to boost or jumpstart your top to toe beauty transformation, then I don’t know what is. 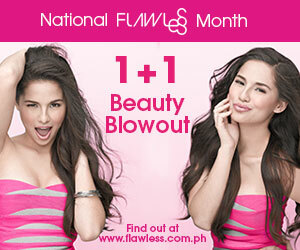 Go to www.flawless.com.ph or visit a clinic near you for more information." And this is my most WANTED service: NANO RF: A fantastic alternative to invasive liposuction, Nano RF services contour and lift the skin with almost no downtime—making RF the perfect solution to instantaneous slimming. By heating up the specific area, collagen is stimulated, which provides immediate contouring effect; tightening and lifting the treated area. Flawless provides Nano RF services for virtually any part of the body and face. This will be perfect time for me to get rid of the bulges and sagging skin, thanks to Flawless! Then the battle of the bulge can finally end and I can be one "Hot Momma" already! Go ahead and visit their website now to know more about their promos! We can all have that Flawless Beauty Transformation right now! 1. 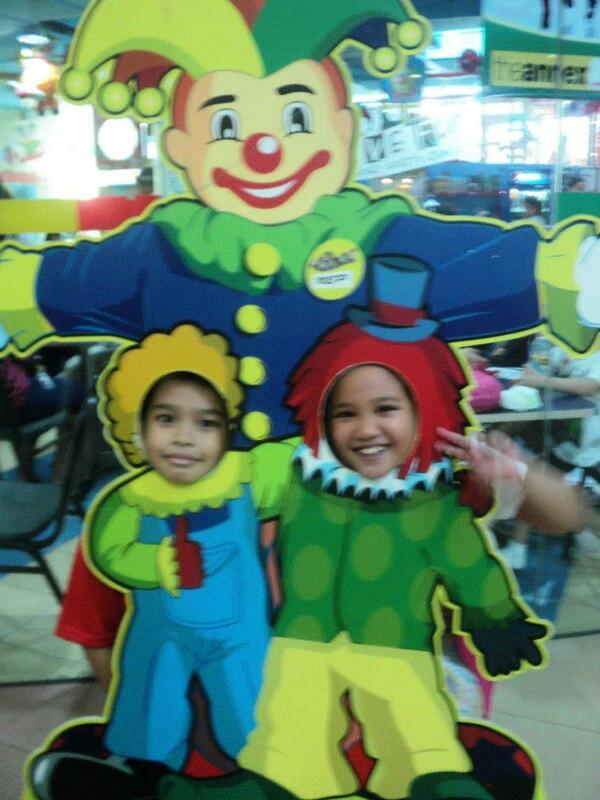 Danniel's 10th birthday celebration. 3. My new passport! Yehey for next year's trip. 5. New shoes for my kids. 6. My friend Vangie gave birth already to her first kid, a boy! 8. Peanut butter and pandesal. 9. No rice diet. Its actually not a happy thought, but I'm just happy that I can do it. Motherhood, the most difficult yet the most rewarding job in the world! 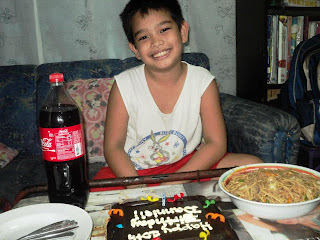 My son celebrated his 10th birthday last Saturday with a simple family celebration. 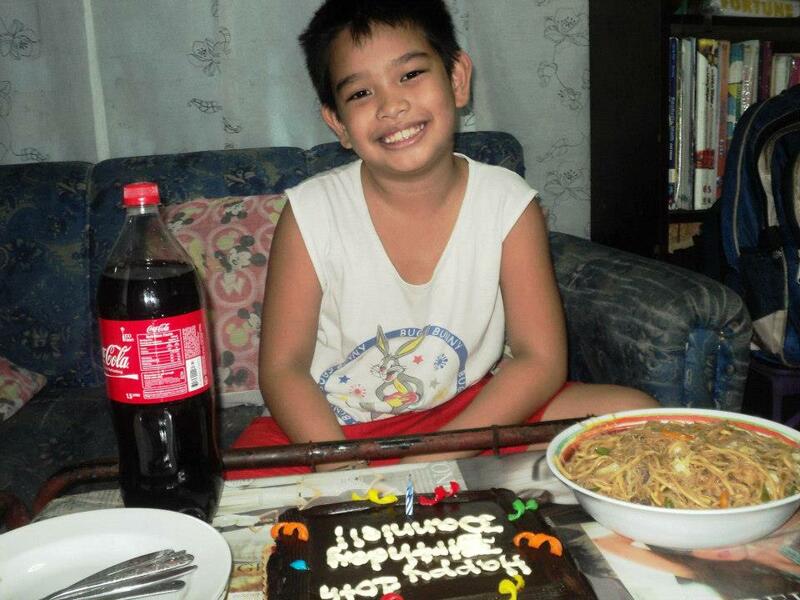 I cooked his favorite champorado for breakfast and we sang him a song and he blew his birthday candles. Then we had some pansit for lunch. At around 3 pm, we left for SM North Edsa where I had a voucher for unlimited play at Active Fun that I bought from Metrodeal. They played for almost 3 hours! After that, we went in search of his gift, the board game Game of the Generals but we couldn't find it at Toy Kingdom or at the department store so I will just look for it elsewhere and give the gift later. Then, we had dinner at KFC. On the way home, we bought McDonald coke float to cap off the night. The birthday boy was all smiles at this simple celebration and my heart was filled with happiness at his obvious delight at life's little joys! Thank God for this awesome kid! 10 Reasons Why Love Danniel! 1. It was love at first sight! Who can resist his charm? 2. He is the nicest baby we ever had. He doesn't cry much and always has a ready smile. 3. He is very easy to please. Just put him in water and he is good! He loves swimming! 4. He is quiet and sweet and is thoughtful. He is a great Kuya to Ishi. 5. He is a consistent honor student. No need to tell him to study his lessons as he will do it on his own. 6. There are times when he is afraid to try somethings, but when he makes up his mind to do something, he will always give his best. 7. He is responsible at such a young age. 8. Do i need more reasons? I just love him! 9. And I am oh so proud of him! And I pray that he will be successful in his life! 10. And now that he is 10, he is still a baby. 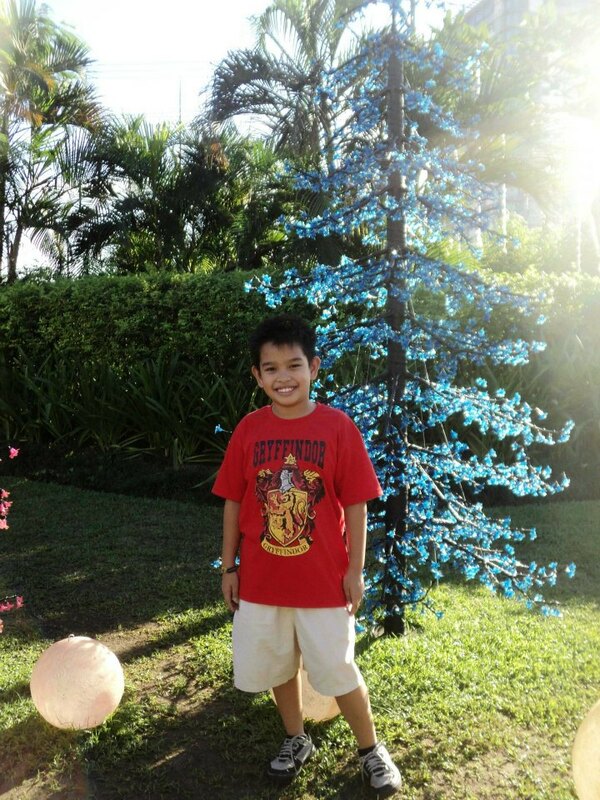 In just a few years, he will be a teen, but for now, he will always be my little Danniel! Happy Birthday, Anak! 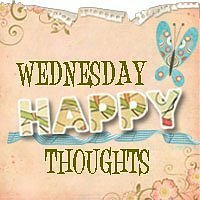 My only wish is that you become a good person and everything else that is good in life will follow. I love you!